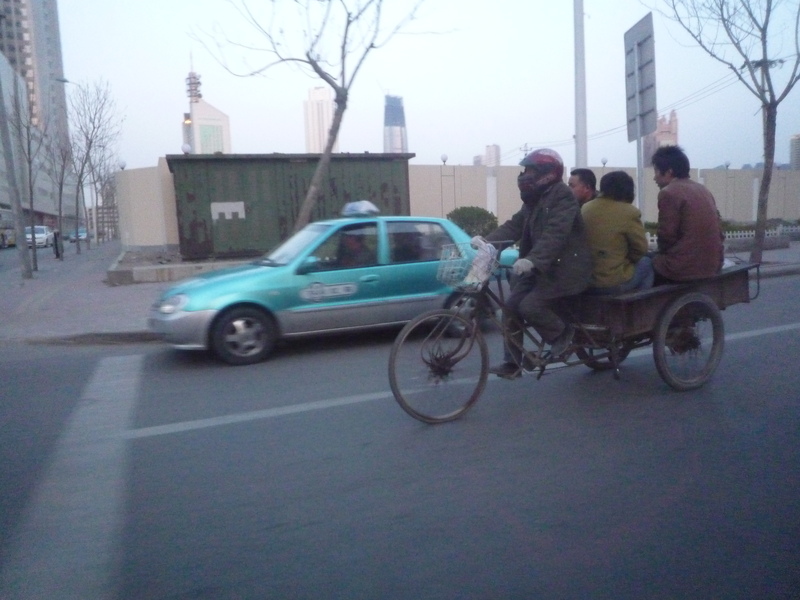 Welcome to China, where not wearing seat-belts, smoking in restaurants and overcrowded gigs, and cycling (sometimes motorbiking) without lights or helmets is essential behaviour. How recently were these things the norm in the UK (OK maybe not the bike lights), and how quickly we got used to the changes. These are just a few nit-picking negatives of daily life here; there are positives to go with them. Modernisation (read Westernisation) is not always good – sorry to state the obvious. In this country where food is so diverse, healthy, creative and culturally important, it’s awful to see increasing numbers of McDonalds and KFCs, and the spotty faces peering out from within. Anyway, slight digression…. I’ve gone on about this loads already – how I often get this deja-vu feeling of Britain maybe 20 or 30 years ago – good and bad aspects. Everything is slightly less regulated, anarchic and real, meaning life and one’s senses often feel more colourful and enhanced, less sterilised. It’s more risky but more exciting in other words. In a lot of situations, society here balances on a common sense of….common sense. It generally works. Public arguing is rare, despite the overcrowded roads, pavements, buses and underground. People get on with it and each other. Despite China’s ‘big government’, regulations and small laws are maybe less to the fore in people’s minds, and less affecting on a small-scale basis, with reason and logic driving a lot of daily life. I know what I’m trying to say…. The other thing to understand is the incredible pace of change – it’s impossible for any country to move things forward (or backwards?) completely in one generation. But that is what is being attempted. The obvious (and maybe easy) things are long established – urban development, transport, skyscrapers, the internet, mobiles etc etc etc. What takes longer is changing the way things work, people’s every-day habits and daily lives. Spitting! A refined skill, nay, an art form I will blog about another time. Whatever your opinion, it is impressive how the government(s – there area in fact lots of governments here) – is managing to walk the fine line between pushing modernity (again, whatever that means) too quickly, and allowing people to continue in some form of structured life that they’re used to, with little of the machinations that we get in the west when new thinking aimed at moving things on a bit, is put forward. China is bringing in social and economic change over a period of 20 or so years that took us nearer to 200. Obviously they have hindsight, and our mistakes to learn from, but that doesn’t make it a doddle. The famous Silk Street (multi level market selling cheap fake fashion and electronics goods to tourists) has had it’s warnings; now it looks like it might be closed down. Copyright and trading laws are fast being adapted and adopted. Health and safety laws are similarly expanding rapidly. Local corruption is starting to be acknowledged and tackled…. its a big problem. The great smoking ban, I keep being assured, will never happen here. But I was told that by a Frenchman a few years ago. It will come I am sure, and with little complaint in the end. Lately in the media, there have been a lot of nice stories about personal environmental awareness and good eco-practise. This is no coincidence. This is an agenda, and it probably means changes and rules are a coming (maybe as a result of a few promises made at Copenhagen). As I said in an early blog, Chinese people are very energy efficient and thrifty already, with a lot of re-use and recycling going on. But this is out of necessity, rather than a fear of global warming. Now, there does seem to be some form of ‘educational’ campaign starting to get underway. All this rapid change of course creates sharp juxtapositions. So while you have the office blocks, neon, and giant video screens, you have weather beaten guys cycling past with their wooden tricycles carrying goods or people; or horribly disfigured beggars on the underground. 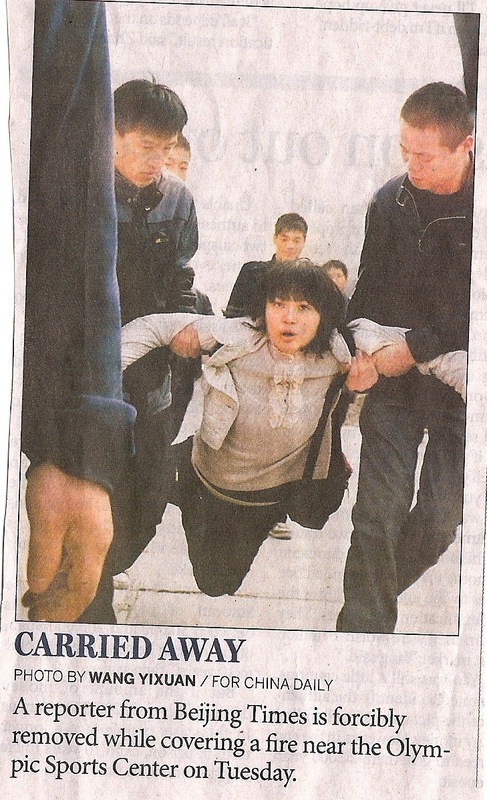 Or the millions of ‘migrant’ workers clambering off trains, with their belongings in cloth sacks over their shoulders. And despite the huge number of cyclists, tricyclists, motorcyclists, motor tricyclists, (often driving the wrong way down the road or on the pavement), the huge numbers of pedestrians, the insane car driving, and despite the provision of luxuriously wide cycle roads (not just lanes) beside all major roads, I still have not seen one lit bike light, or cyclist wearing a helmet. This month, I’m buying a bike. I may need someone to ship me over a helmet and some lights if I cant find any.